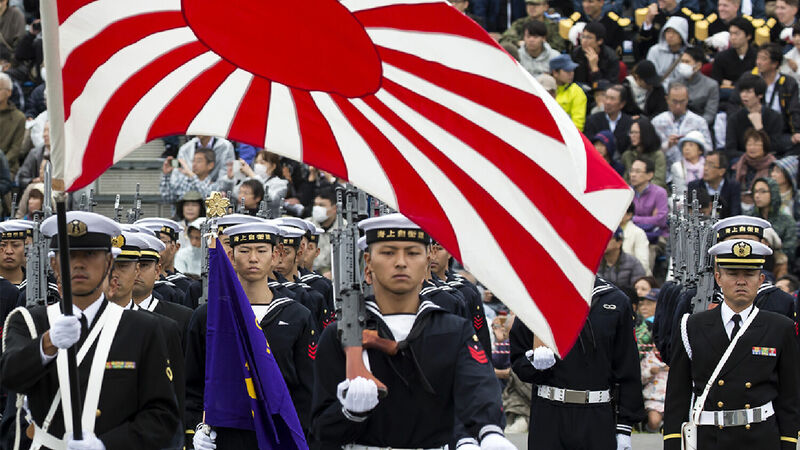 Japan’s Maritime Self-Defense Force takes part in the military’s annual review on October 14 in Asaka, Japan. A seemingly impossible prediction is now being fulfilled. Japan’s Defense Ministry plans to keep open its military base in Djibouti, Japan’s Asahi Shimbun newspaper reported on November 15. Japan had originally planned to shut down the base after successfully combating piracy in the waters off East Africa. The base was opened in 2011 to accommodate Japanese forces working under the United Nations in anti-piracy operations. It currently contains a port and one destroyer, an airfield that hosts patrol planes, and accommodations for at least 180 troops. Reports of piracy in the region have declined, from 237 in 2011 to zero in 2015 and only nine in 2017. With the mission seemingly accomplished, analysts expected the base to be shut down and Japan’s two patrol planes and one destroyer sent back home. But plans have changed. Japan will take “measures to further utilize” the base and is studying nearby American, French and British bases for ideas, wrote Asahi Shimbun. Why is Japan taking interest in a sea so distant from its shores? The Japanese Self-Defense Force has justified its continued presence in Djibouti by the fact that piracy still occurs, but many analysts believe the real reason for Japan’s decision is bigger: It’s about counteracting China. Japan’s recent defense white paper supports this view. East Africa in general is an important region in China’s One Belt, One Road economic strategy. Djibouti has a strategically important location beside the Red Sea, a vital sea-lane for oil shipments. In 2017, the area leased for the base was expanded from 12 hectares (29.7 acres) to 15 hectares (37.1 acres). This was a direct response to the opening of China’s base in Djibouti the same year. Now, the Japanese government reportedly wants to maintain a ratio of one Japanese soldier for every 10 Chinese soldiers in Djibouti. More details regarding the future of the base are expected to be made public sometime in December, in the next National Defense Program Guidelines report. Japan has offered various justifications for keeping the base open. An attack on a natural gas plant in Algeria in 2013 killed 10 Japanese citizens, and the base served as a hub for distributing medical aid. Japan also took part in a UN force stationed in South Sudan between 2012 and 2017, when the base again served as a logistical hub. Japan’s most important motivation, however, is to prevent China from gaining too much influence in East Africa. Japan has recently focused on strengthening its military, increasing overseas deployments, and altering Article 9 of its Constitution. Article 9 has historically deterred the nation from getting involved in military intervention. But this has changed dramatically over the past decade. Japanese President Shinzō Abe has vowed to change the pacifist Constitution to allow more foreign intervention and to build up the military. For decades, Mr. Armstrong’s forecast could have seemed alarmist to many students of geopolitics. But now—as we see nationalists and hard-liners dismantling Japan’s pacifist architecture and leading a revival of the nationalism, militarism and emperor worship that made Japan an unusually ruthless military machine—that forecast no longer appears far-fetched. It is clear that Mr. Armstrong’s forecast was right! How could he have known? Mr. Armstrong’s view was informed by specific Bible prophecies. Journalists sometimes mention the biblical word Armageddon found in Revelation 16:16, but it is rare to hear talk of “the kings of the east” discussed in verse 12 of that same chapter. The Bible shows that these “kings of the east” will be a massive bloc of Asian nations that pool their militaries together in the end time. They do this in order to confront another power bloc led by Germany. Revelation 9:16 says that the Asian army will be comprised of a jaw-dropping 200 million soldiers. All that is necessary to see how these prophecies are being fulfilled is to look at what Japan is doing today. The Djibouti base and the build-up of Japan’s armed forces are all leading to the fulfilment of this prophecy.